A puncture wound might not look as dramatic as some other dog bite injuries. They don't bleed as much, they normally close on their own, and people sometimes think they don't even require medical treatment. The truth is, however, that puncture wounds can be very serious. Puncture wounds are prone to infection, and the risk of infection is even greater if the injury was caused by a dog bite. If infection sets in, the complications can be life-threatening. They can lead to serious nerve damage that affects many parts of your day-to-day life. They can cause other dangerous medical conditions like rabies, blood poisoning, and tetanus. All of these situations can require extensive medical treatment that causes stress about your health and finances. We've helped many clients who had no idea how much their injury would impact their lives. Things quickly go from normal to spinning out of control, and they aren't sure how to find their footing. Our job is to provide direction and stability. If you've been injured due to a dog bite, get in touch with us for a free legal consultation. We'll answer your questions so you know what you should do next. We'll talk about if you have a case, if you need a lawyer, and any other legal concerns you might have. Call us at 1-866-943-3427 or fill out the form to the right. There's no fee to use our firm unless we're successful in winning your case. There's a straightforward reason why hiring the right dog bite attorney is important: It can mean the difference between getting the compensation you deserve – or not. You may not realize now all the medical expenses you'll have in the future. 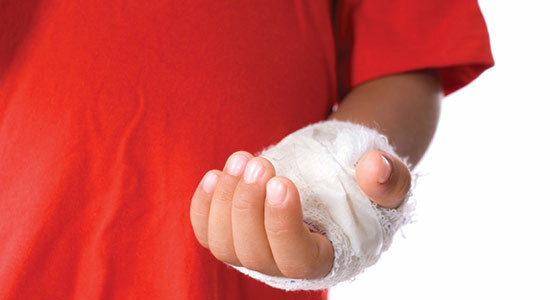 You probably don't know that certain types of scars entitle you to additional compensation. You might not think about the fact that your health insurance may refuse to cover future medical treatments they deem "cosmetic." We've been doing this since 1982, and from the moment you hire our firm, we do everything we can to make sure you receive the compensation you need and deserve. We investigate the dog attack and gather evidence. We determine whether the dog owner violated state leash laws or dog bite laws. We hire experts when necessary. We protect your legal rights against the insurance company. If you can't make it to one of our office locations, we'll come to you – in the hospital, at home, or wherever else you may be. We keep track of your medical bills and paperwork. We make sure all deadlines are met. We answer your dog bite legal questions quickly and work hard to give you peace of mind. We handle the hassles so you can focus on getting better. If you suffered puncture wounds from a dog attack, and you experienced severe complications, you can get in touch with us 24/7. You may have a case, and our dog bite lawyers are ready to protect your legal rights. Call 1-866-943-3427 or fill out your information at the top right of this page for a no obligation, free case review.